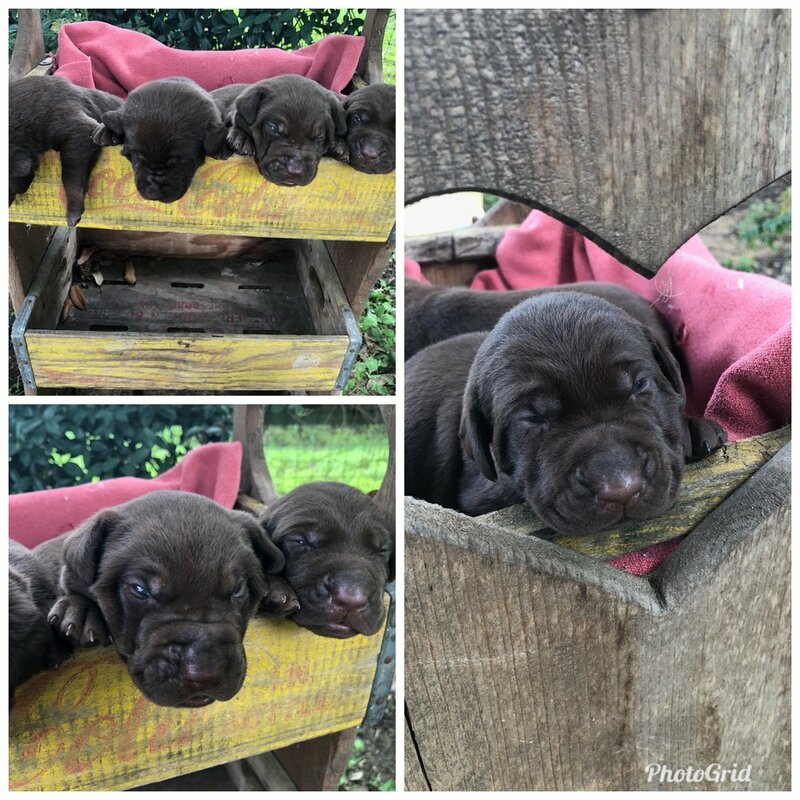 Marley and Lincoln had a healthy and vibrant litter of Mixed Labradors on February 28th, 2019! They will be ready to go home starting on Thursday, March 21st! Reserve your pup now! Just in time for CHRISTMAS! How about one of these little packages under the Christmas tree? Texas and Grayson had a litter of Charcoals and Silvers. They will be available to go home starting on Thursday, December 20th, 2018. Only 2 Charcoal females still available! Sorry… all the Silvers are sold! Please use our contact page if you are interested and also check our pricing page for updated and current pricing. And of course always check out current litters page for available colors and gender(s) from each litter. We look forward to hearing from you! There are still puppies available from Faith and Rusty’s “box of Chocolates”. They will be ready to go home starting on Wednesday, October 24th! There are still puppies available from Aggie and Grayson’s litter of Silvers and Charcoals. They will be ready to go home starting on Wednesday, October 3rd! Please use our contact page if you are interested and also check our pricing page for updated and current pricing. We look forward to hearing from you! Aggie and Grayson had a litter of Silvers and Charcoals that will be ready to go home starting on Wednesday, October 3rd! Please use our contact page if you are interested. We look forward to hearing from you! Marley and Lincoln have a beautiful litter that will be ready to go home starting on Thursday, September 15!